Ike Godsey has been the local storekeeper on Walton's Mountainfor more than 35 years. Always trying to find new ways to earn sales from his customers he also runs the post office, a pool hall and a barber shop out of the store. When he suffered a heart attack the Walton children took shifts running his store while he recuperated. Ike would marry John Walton's cousin Corabeth. 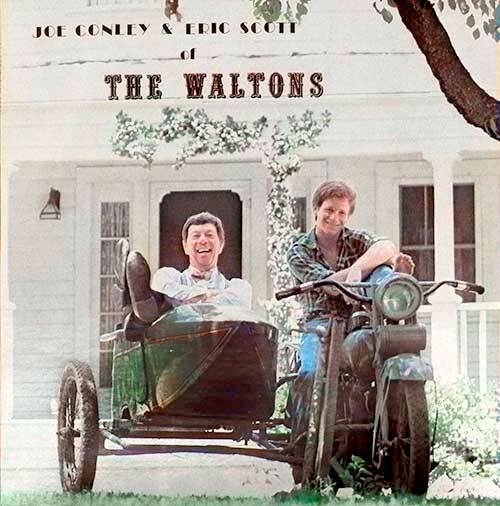 This brought Ike closer into the Walton family. Although they had planned to adopt a little baby they brought home 7 year old girl named Aimee and did their best to build a loving family. 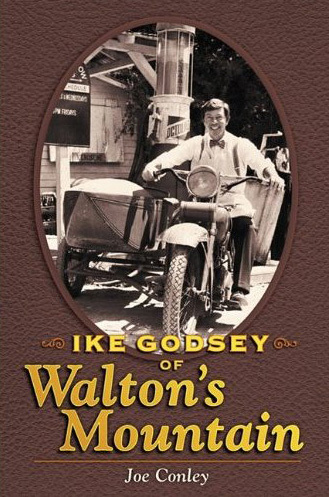 When one of Ike's scheme's to make a buck backfired (he bought a truckload of faulty fridges) he desparately sought John Walton's help who had just become debt free after paying off his mortgage. Joe was a regular TV character actor throughout the 50's and 60's before landing the role of Ike Godsey on the series. Although Joe found little acting work after the The Waltons he had a memorable part in Ton Hanks' film Cast Away. Prior to being cast as Ike Godsey, Joe got into the real estate business and he built 3 successful locations. Joe was always a singer and entertainer at heart he won awards for his talents when he was young and entertained in clubs and bars as he got older. When fellow actor Eric Scott turned 17 Joe approached him to create a song and dance act which they toured across America. The two also recorded an album together and built a life long friendship getting togehter once a month for lunch. Joe Conley passed away July 7,2013. Here is a fitting tribute by Ray Castro. Ronnie Claire Edwards speaks about her co-star Joe Conley at the Waltons Fan Club reunion. Three months ago, my phone rang, "Hey Ricki-Tik, how about today?" Those six words spoken in Joe's unmistakable voice meant I'm available and can we get together for lunch. You see, we have been doing this for over 35 years. We met on the Television series 'The Waltons" in 1972 when I was 13 years old and Joe was 44 and although we were 30 years apart, there as always a kinship between us. He always said my character was more Godsey than Walton. One day, Joe approached me to see if I would be interested in putting a show together and taking it on the road. Now I had never done any singing or dancing, but I would do anything to follow Joe's lead. Well, after a year and a half of practicing and rehearsing, we took it out to the public and between my two left feet and Jos' two right feet, we had a blast and the audience loved us. What I noticed was how Joe loved meeting new people and making new friends. But, the most important thing I got out of the experience was a lifelong friendship that has endured and blossomed over the years. We would get together monthly and after having a few pleasantries, we would first talk about our businesses. In Joe's case; his Realty company and later his investments and tenant issues. Joe would tell me about his latest Toastmaster speech, his love for tennis and golf, his recent travels, a book he just finished reading-Joe was a voracious reader, his favorite being historical biographies. Or Joe would let me know about a new book he is writing and I would usually be humored and awed by his incredible ability to convey a story. He was a wonderful story teller. But we also talked about tough times, like when my wife died of cancer, Joe was a terrific listener and helped give me strength to get though a horrific time in my life. Joe was a decorated hero of the Korean War and an extraordinary businessman but his passion was acting. As recently as 2009, Joe was still yearning for another plum part. As he would tell me "Rick, I still have the acting bug!". Joe also told me "the moment you sign with an agent, it's time to look for another." Joe was an entertainer and his work will be enjoyed for generations to come. When we got together in March, Joe and I went to his Country Club, at it turned out for the last time. I asked Joe something I never asked him before, "Do you have any regrets?" He closed his eyes and took a deep breath, opened his eyes up and displayed all the sincerity in the world and said, "No, not really". I said, "Good". Joe was a friend, a confidante and was the kindest, most loving man I have ever known. I will miss our lunches.